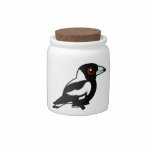 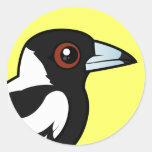 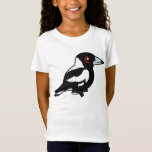 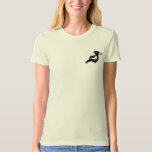 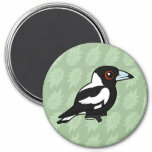 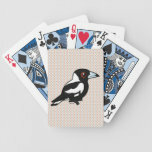 The Australian Magpie is a songbird native to Australia and southern parts of New Guinea. 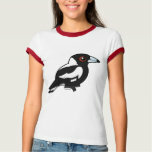 They have striking black and white plumage and a distinctive rich brown eye color and light blue beak. 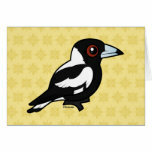 While called magpies, these birds are not closely related to European or American magpies. 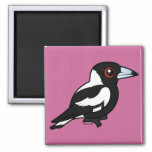 Australian Magpies were named by European settlers who noted the similarity in their plumage with the Eurasian Magpie, with which they were familiar. 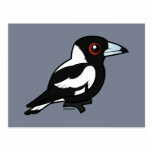 Australian Magpies are common and conspicuous within their range. 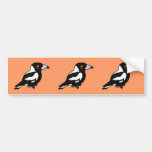 These omnivorous birds are well-adapted to a variety of habitats and can be found in city parks and suburban back yards. 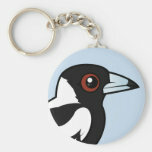 The population trend for the Australian Magpie is increasing and as of July 2013 the species has a conservation status of Least Concern.